Emily began her career as a teacher of gifted children before earning her degree in Counseling. With experience as a public school teacher and guidance counselor, she has extensive knowledge of appropriate strategies to help children at home and school with emotional regulation, anxiety, depression, and other mental health concerns. Emily provides counseling for children, teens, and adults as well as cognitive (IQ) testing for high-potential individuals. Emily's specialization with high-potential children can help identify students who are 2e (twice-exceptional). Click here for more information about counseling services provided by Emily. Colleen brings experience working with children and teens dealing recovering from severe trauma and family changes to the Unlimited Potential Counseling & Education office. She utilizes play therapy techniques with children as young as three years old, counsels adolescents dealing with anxiety and depression, and supports parents through their child's development. For more information about working with Colleen, click here. As an elementary school counselor and a school-based mental health counselor, Heather has experience working with children and teens from ages six and up. She integrates research-based cognitive-behavioral strategies with her clients to help them develop social skills, decrease anxiety, manage anger, or process grief. Heather specializes in the needs of high-ability, gifted, and twice-exceptional learners. Learn more about Heather here. Pam worked as an elementary school teacher and school counselor prior to joining Unlimited Potential Counseling & Education Center. Pam is nearing completion of her certification as a Registered Play Therapist through Heartland Play Therapy. She utilizes a combination of play and behavioral techniques when working with children from early childhood through adolescence. For more information about Pam's specializations, please visit her web page. Caitlin provides mental wellness services to children, teens, women, and families. As a certified school counselor, Caitlin works with families and schools and specializes in working with school-aged individuals. She is able to collaborate with school personnel to provide comprehensive mental wellness services that facilitate success at home and in the academic setting. Caitlin also has a passion for helping women dealing with low self-esteem, anxiety, and life struggles, as well as infertility, miscarriage, and postpartum depression and anxiety. For more information about Caitlin, please click here. Erin began her career as an Early Childhood and Elementary Special Education Teacher. She continued her education earning a Masters of Arts in Special Reading. As a Reading Specialist, Erin takes a diagnostic approach to reading instruction providing each student with the tools they need to become lifelong learners. At Unlimited Potential Counseling, Erin helps students develop and build the skills necessary to become successful readers. Read more about Erin here. Jen works with learners who are struggling with their reading skills. A certified reading specialist through the State of Missouri, she has worked as an elementary educator in the past and currently is a reading specialist for a local school district. She loves to help children develop a love for reading and confidence in their ability to succeed in school. Read more about Jen here. Madeline Kaleel is a graduate student at Webster University in the Clinical Mental Health Counseling program. She has dual bachelor's degrees from Truman University in Biology and Psychology. Madeline's area of specialization in counseling is with gifted, high-ability, and twice-exceptional. 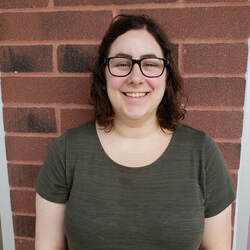 Madeline worked for two years at the crisis helpline for Kids in the Middle and participates with St. Louis Association for Gifted Education (SAGE). Madeline is under the clinical supervision of Emily Kircher-Morris, LPC (MO #2012026754).